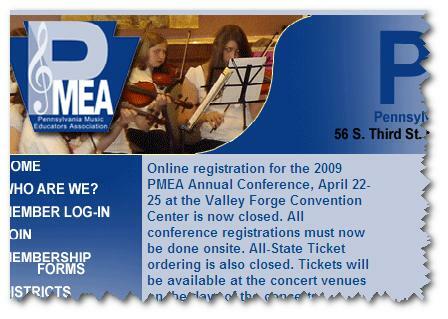 PMEA for 2009 is almost finished. I was able to meet up with a number of friends, meet some new ones, and check out some awesome new music related stuff! Travis Weller and I presented a session entitled Bridging the Gap between the Composers, Performers, and Audience and it was well received. I will be posting the information from the session at MusTech.Net in my next post. I also found out about some amazing new products, compositions, and books which I also will be writing about in posts to come. Going to local, state, regional, and national conferences is a great way to get “re-charged” and “re-excited” about what we do. If you haven not attended one lately…What are you waiting for?